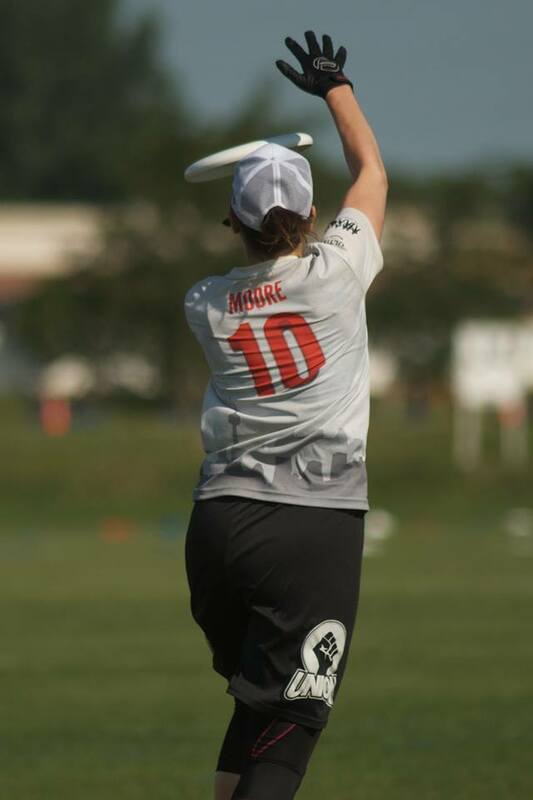 As a high level player and NCSA Certified Strength and Conditioning Specialist, Melissa is on a mission to improve the sport of ultimate by giving players the tools they need to train like the serious athletes they are. In addition to writing The Ultimate Athlete Handbook and starting The Ultimate Athlete Project, Melissa gives ultimate fitness clinics internationally. Gain access to many more of Melissa’s articles and videos by signing up for her email list at 25UltimateTips.com. Every sport has unique movement demands. In ultimate, what separates us from other sports is the high frequency of very sharp cutting angles and lateral movement. Here are three drills that will help you work on the footwork and movement patterns to change direction more rapidly. In order to push the body in any direction, the feet must be outside the center of mass. To change direction laterally or at a sharp angle, your body ends up in what we call the hockey stop position. This hockey stop position places the outside leg far outside of the center of mass and allows the center of mass to get low while you decelerate and accelerate in the opposite direction. The center of mass remains closer to the inside leg. The outside leg absorbs a lot of lateral force and should be bent at a 10-20 degree angle. This drill works on getting comfortable in the position with a bit of lateral momentum. The short slalom drill challenges you to get lower than is comfortable and helps you get your feet far out of your center of mass. You’ll know you’re doing this drill correctly if you occasionally feel off balance or sometimes even hit the dirt. You’re trying to push the edge of your comfort zone and that means failing every now and then. This drill helps to brings awareness to your hips. On defense you want to keep your hips open toward the person you’re covering as much as possible. On offense, keeping your hips open on short cuts will help you to fake and cut more quickly. I hope you enjoy these ultimate specific footwork drills and soon with your ultimate specific cleats! If you like these drills, you can find more ultimate specific footwork in Melissa’s Agility for Handlers or in The Ultimate Athlete Project. 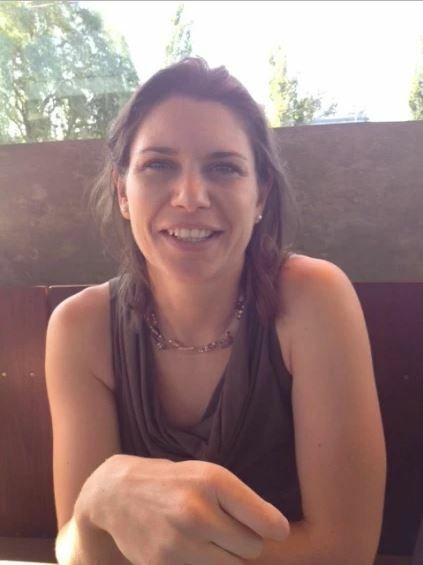 Amanda Moore, healthcare practitioner, and ultimate player contacted me to give me some insight on ultimate related injuries she observes on ultimate players. I thought you guys might find this as interesting as I did ! Here’s the first part of our interview, where we find out a bit about Amanda and the perspective she brings to ultimate. In the coming weeks, we’ll get into much more detail about lower limb related injuries. Hi Amanda, could you tell me more about who you are? Hey Robin. I am a chiropractor and ultimate player. Currently, I practice in Toronto and where I see a range of people from ultimate players to personal trainers to older people who just want to move better. The type of practice I have is evidence-informed while keeping current with the latest research & techniques; patients are assessed with movement, given manual therapy and are always provided some exercise based homework. 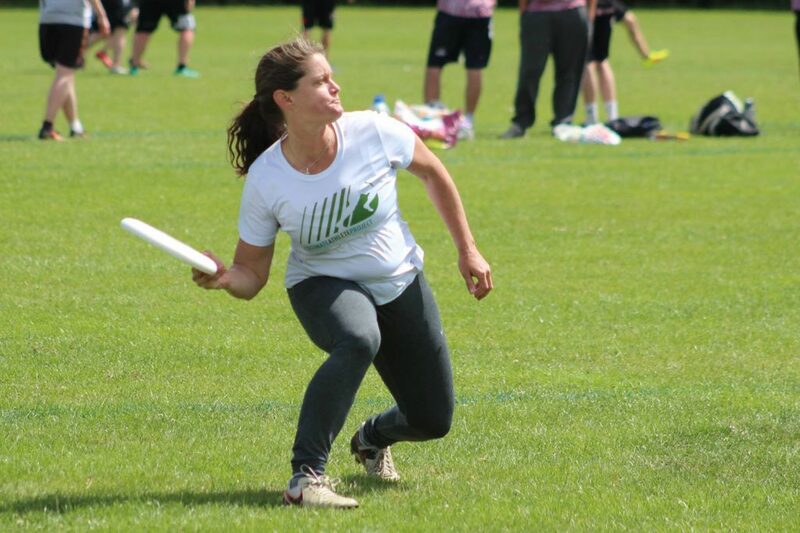 As for ultimate I have been playing for over 10 years on various recreational and competitive teams. I have played for Union Ultimate since 2011 and had the opportunity to attend Worlds in Lecco and Beach Worlds in Dubai. And what are the clinical observations you usually make on ultimate players? If you look at the feet of ultimate players you will see some common trends: blackened toenails, calluses around the big toe and heel area, and maybe some blisters. Common injuries I see with ultimate players in the lower limb include turf toe, plantar fasciitis, heel bruises, ankle sprains, Achilles issues, shin splints, meniscal injuries and ligament sprains such as ACL and MCL. Players injuries are usually the result of a player’s biomechanical (how they move) and neuromuscular (how their muscles work) issues however cleats may predispose players to injury. The type of cleat may contribute to different pressure on the bottom of the foot, how the foot moves within the cleat and the traction forces of the cleat to the ground that can affect the rest of the leg. The biomechanical and neuromuscular issues of the player can include the mobility and stability of the foot, ankle, knee and pelvis. Which kind of cleats are you using for now? Ahh cleats! Finding cleats that work best for me has been one of the most frustrating experience as an ultimate player. After running the gamut of football, soccer, and lacrosse I have settled upon Nike Tiempos and an old pair of Umbro soccer cleats. 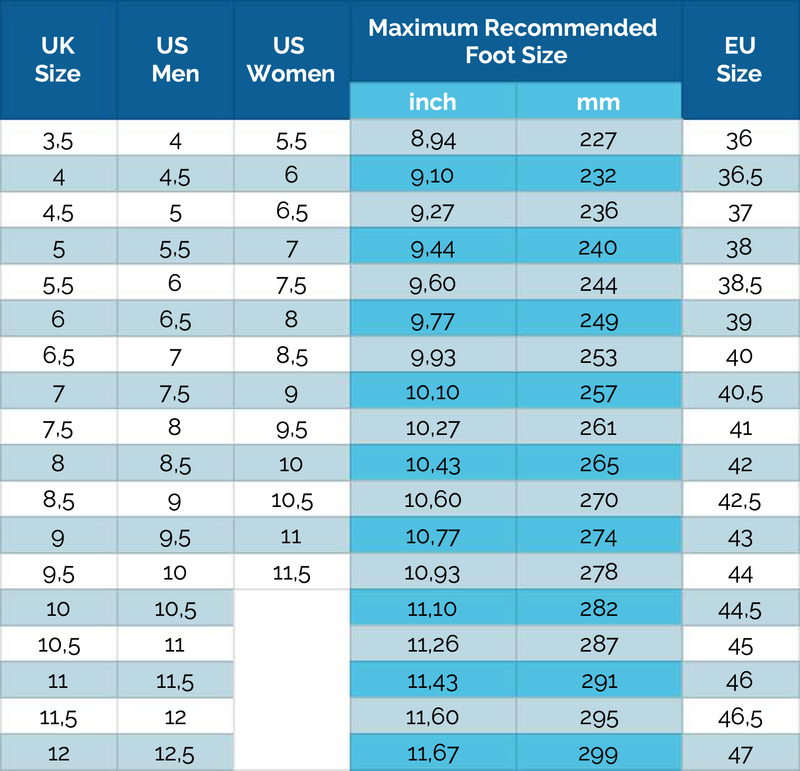 The biggest things I look for in cleats include light weight; narrow; comfortable upper ( the part around the toes); a good cleat pattern that allows running, pivoting, and lateral movements; and studs around the toe. The features I’m excited about in the TOKAY cleats are the flexibility at the forefoot and additional stud patterns around the toe and heel for added traction. I also like the idea of internal 3D mesh material to allow the foot to mold to the shoe and may prevent rubbing and blisters. My hope is that the cleats are comfortable fitting a narrow foot type and the stud pattern doesn’t irritate areas at the bottom of the foot. I have devoted a lot of time to teaching players how to train for ultimate. By now, most players are using a dynamic warmup before training and practices. Today I want to suggest that we also pay closer attention to the feet, especially before training for speed and agility work. Here are two times and two ways to take better care of your feet. If you suffer aches and pain in your feet in the morning, this is for you. These exercises take just a few minutes. Use them as part of your daily routine, like brushing your teeth (or even while brushing your teeth). Start off your morning right with a quick rollout of the feet. The fascia of your posterior chain is all connected. If you suffer from chronic hamstring tightness, rolling out your feet each morning as well as the hamstrings is a great place to start. Quick, simple and requires only a tennis or lacrosse ball. Now with your feet starting of the day feeling a bit looser, you can avoid compounding your tightness problems. I recommend doing speed, agility and quickness (SAQ) work in cleats on grass. But before you put on your cleats, take a few minutes to warm up the feet. Though they’ll be in cleats, they are still flexing and working as you lightly bounce on the balls of your feet or make sharp changes of direction. Here are a few exercises which will bring more awareness to your feet, help you develop strength in the feet and control in the ankles. Be prepared for a tournament also means to be able to rely on yourself and make sure you won’t face any kind of problem before or during the game. Here are a few tips to make sure you’ll be able to give the best of yourself on the pitch. It means taking care of your nails and remove dead skins. An accumulation of these ones can reveal some high tension zones between the foot and the shoe, which may lead to skin wounds. The best option is to wash your feet the day before the game, so the skin won’t be too soft for the game (which may cause blisters). Let your feet breath us much as you can. 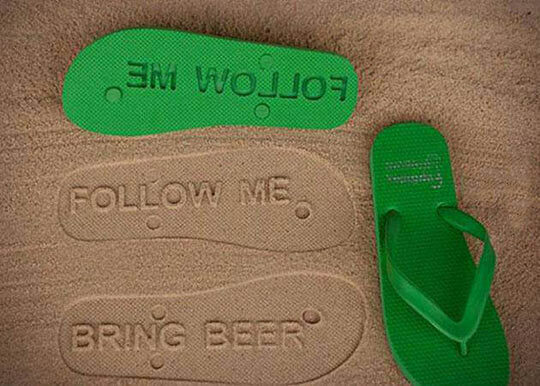 Tip #2: use flip-flops, but please, WITHOUT socks! In addition to kill all the SWAG of the flip-flop, the socks prevents your feet from breathing. Wearing flip-flops is also important in change rooms that are full of bacteria bad for the feet. You can start by reading our feet facts, but an examination at a podiatrist would be a very good option. They will also be able to tell you if you need specific insoles to solve postural disorders. Tip #4: beware of the blisters ! We are not all equal when it comes to blisters. People especially sensitive to blisters can use either tanning creams or acid products – like lemon juice – to strengthen their skin. For example, these products can be used every evening, for two weeks before a competition. Since it could dry the skin, the use of a hydrating cream is recommended in the morning. Apply a plaster and / or compressive bandage. While they are not recommended with flip-flops, socks are very important to maintain the foot in a healthy and dry environment. Good sport socks are highly recommended since they will better manage moisture and decrease friction between the foot and the shoe. Warming up your feet can decrease the risk of injury. The most important is to prepare the muscles and joints, which will support repeated and numerous stresses during the day. We all know the basic exercises; just take your time to warm up. I’m not talking about the party, you can take off whatever you want during the party, but between two games it can be a good idea to take off your shoes. In addition to the subtle titling of the grass between your toes, the foot will dry and breath and the muscles will relax. Extra Tip: At the end of the day, bath your feet! Footbath is not recommended if you have any wound on your feet. Here are some interesting facts about feet. 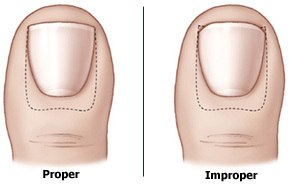 Depending onhis morphology, one also can be pronator or supinator. 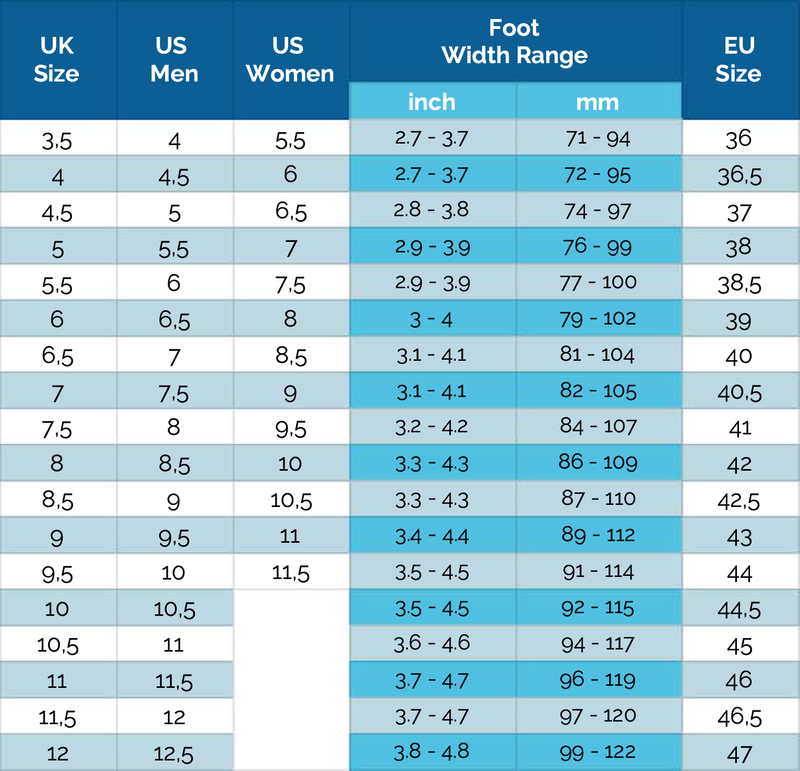 In addition to length, that defines our shoe size, feet can vary of with, eighth of the arch, shape… Each person tends to have a difference between left and right foot. 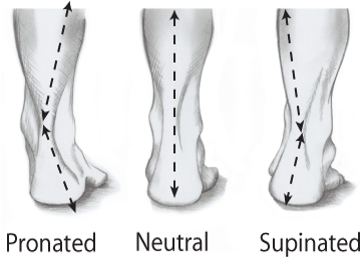 Depending on our morphology, one can be pronator or supinator. You can easily observe by watching the sole of your old running shoes, and the way they are worn essentially on the inside or on the outside of the foot. Our feet being the base of our mobility, they can be the cause of movement inefficiency or even pain until in our spine. This is why it is recommended to see regularly a podiatrist. The shock absorbing properties of the feet come from the arch shape of the bones. 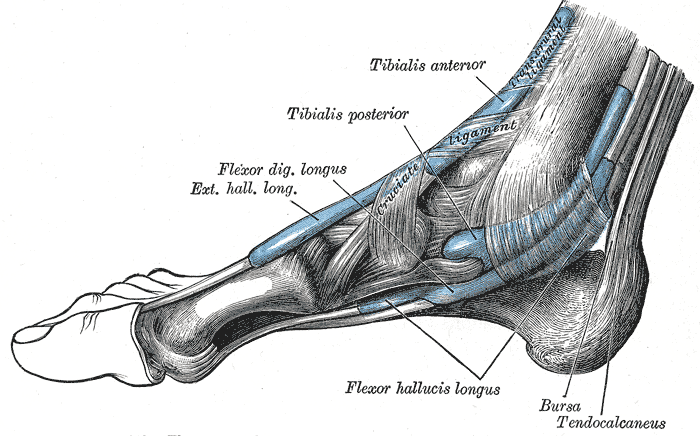 When you take a step, this arch bends your tendons. Sit on a chair (so you don’t put weight on your feet), put your foot on a white sheet of paper and drawn the circumference of it. Then without moving your foot, stand up, put weight on it and draw the circumference again. You will observe that the second sketch is larger than the first one. The ankle joint is also incredibly complicated, since it allows us to keep our balance even on irregular terrains. The foot contains more than 250 000 sweat glands, a figure that might help to remove smelly feet’s complexes! This sweat is necessary to regulate our body temperature, but it also can develop bacterias or other skin problems due to its acidity. One of the most common problem due to sweat is athletes foot. In this case cracks appear, generally between the toes, because of too much humidity. In this case, it is important to keep your feet as dry as possible (especially after your shower). Fungal infections: if you are subject to a fungal infection, you can find efficient fungicides in drug stores. When you know that our feet gather more than 8 000 nerve endings, you better understand why they are so sensitive to tickles (also why some people have foot fetishists, but that’s another story…). Part of Chinese medicine is also based on feet to care numerous pathologies.